Don’t Cha wish your right back was Cha Duri, Don’t Cha? It was a song sung on the terraces of Celtic Park during Cha’s time wearing the famous green and white hoops of Celtic as much in jest as in praise but I think on the 119th minute mark on Thursday most Koreans would have been excused for thinking exactly that. One lung-bursting run accompanied by his trademark determination and Cha Duri was the toast of Koreans (and Korean fans) the world over. Overlooked by the fellow ‘legend’ Hong Myung Bo for Brazil 2014, Cha found himself back in contention under new man Uli Stielike. After a consistent season for FC Seoul he merited one last chance to showcase himself on the main stage. I’ve commented previously on this blog about Cha’s recent performances and I was a little surprised that he didn’t make the starting lineup for the match against Uzbekistan although maybe Stielike played this one perfectly, I’m sure he will claim exactly that. The match against Uzbekistan was as entertaining a 0-0 as you can expect to see. Before the match a friend asked me what I thought the score would be and I predicted “tight with Uzbekistan winning in extra time”, I was glad to be only half right. With 70 minutes gone and extra time already looking as certain as Son Heung Min needing 10 chances to put away one, Stielike brought on Cha. Over his career Cha has had many nicknames, in Germany he was The Cha-minator, in Scotland The Human Weapon, granted not the most flattering of nicknames, but it does kind of sum Cha up. Renowned for his limitless energy he is exactly the player you want to bring on when extra-time beckons. As Cha was entering the field I jokingly tweeted that if he was to win the match for Korea then the Soju was on me. 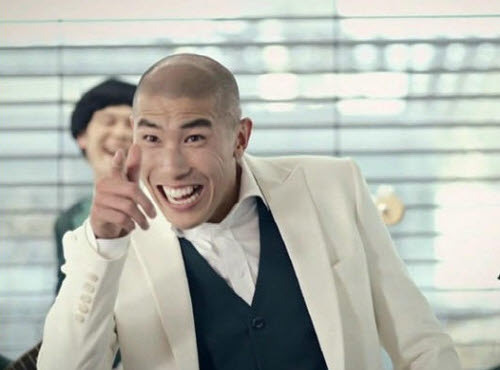 Definitely if he wins the final for them I will be in a pojangmacha in Yeouido with some spare seats and a countless supply of green bottles. As we entered extra time both teams had chances to finish the match in regular time but symptomatic of the previous 85 mins or so those chances were spurned. Just as the Twitterati were predicting penalties Kim Jin Su put in a cross and there was Son to head the ball over the line. It really was about his 5th or 6th chance and he was becoming both frustrated on the pitch and frustrating to watch from off it. Son’s goal seemed to hit Uzbekistan hard and although they rallied they looked like their confidence and belief was dripping away. As Cha picked up a ball inside his own half Twitter was flooded with “hope we can hold on” tweets, nobody expected what happened next, well nobody except The Cha-minator himself. It felt like he beat every Uzbek player on the field, in reality it was three. He skipped past their challenges like they were were ajussis in my way when last orders are called. His head down he powered forward. Now this is where we expect it to all go wrong, sure he can run like Forrest Gump but is there going to be an end product? The answer? Simply but emphatically YES. With a quick look up he spotted Son on his own and put the perfect pass into his path. All Son had to do was control it and put it away, of course he took two touches and almost blew the chance but there was no doubting the class of the finish. Powerful and high, the keeper had no chance. And that was it! 2-0, Uzbek hearts broken and Korea march onwards and upwards.